Six years ago, bicyclist Chris Bucchere dashed through a crowded intersection at Castro and Market, striking 71-year-old pedestrian Sutchi Hui, who died days later of injuries sustained in the crash. Bucchere ended up pleading guilty of felony vehicular manslaughter in what prosecutors believed at the time to be the first conviction of its kind in the United States. FULL INTERVIEW Chris Bucchere speaks to SFBay about the crash, his podcast, and the media. Under his plea agreement, Bucchere avoided jail time and received three years of probation and 1,000 hours of community service, with the opportunity to have his conviction reduced to a misdemeanor charge after six months. Bucchere’s case garnered national attention, in part because of a since-deleted online post — which prosecutors credited to Bucchere — on the Mission Cycling Club of San Francisco’s Google group. The post posed the question of whether the incident was merely a tragic accident, or merited criminal negligence. San Francisco District Attorney George Gascón, sought felony charges because of, including other factors, the online post, according to KQED. 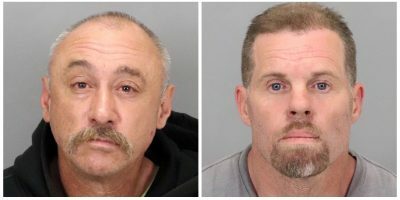 Bucchere’s case was often compared to that of Randolph Ang, who a year earlier — in 2011 — struck and killed Dionette “Didi” Cherney, 68, with his bicycle at Mission Street and The Embarcadero. Ang pleaded guilty to misdemeanor vehicular manslaughter and received three years of probation, 500 hours of community service and had to pay the victim’s family $15,375. San Francisco Bicycle Coalition told SFBay they had no information on Bucchere’s podcast and declined to comment.